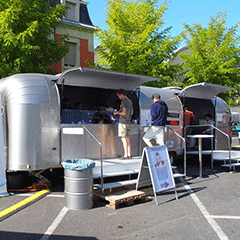 This trailer was build for the EF Pro Cycling team to support the Tour De France stages. 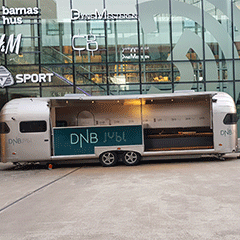 This unit travelled Norway for almost 2 years to promote the DAB+ broadcasts. FunTears have a stunning appearance and that’s why they are frequently used as the base for a commercial vehicle. 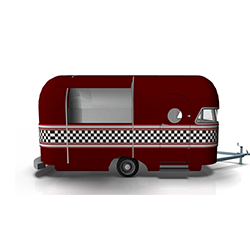 Funtear trailers make very nice rental units on campsites (glamping), AirBNB appartments, as a food truck for catering companies, mobile office, stage trailer or as a bartrailer. 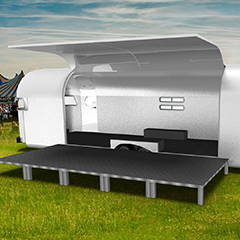 Funtear structures are available in 3 shell types. 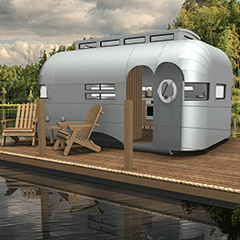 The classic riveted aluminium shell, the red cedar woody and the PVC Funtear Fiber. There is always a Funtear that fits your needs and budget. 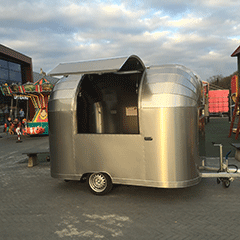 FunTear Commercial units start from at € 14.950 (Silver Bullet ex VAT EXW). 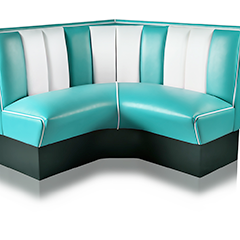 Our commercial Retro versions are available in a 3.10m – 11.5m range.Funtear Fiber is available in 3.5m|5.5m|7.5m. 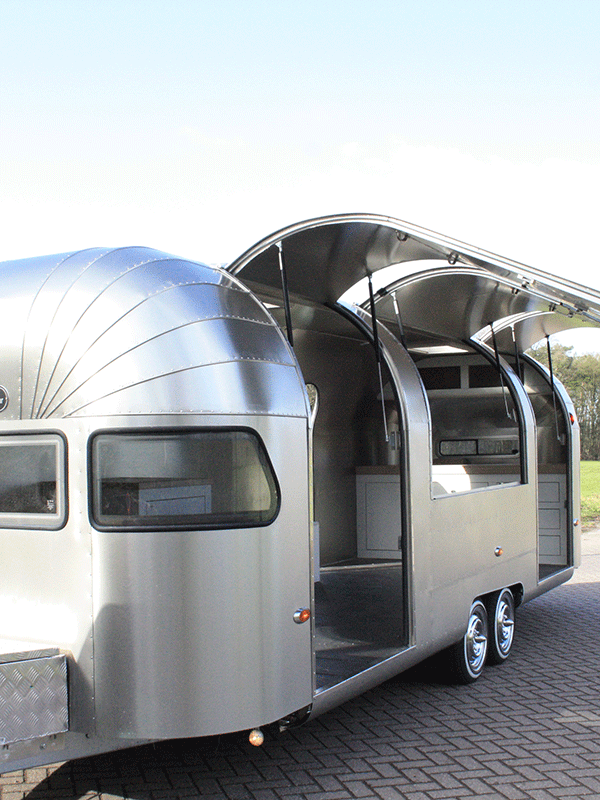 Expertly adapted classic Airstream shells can be supplied and converted by us if desired. 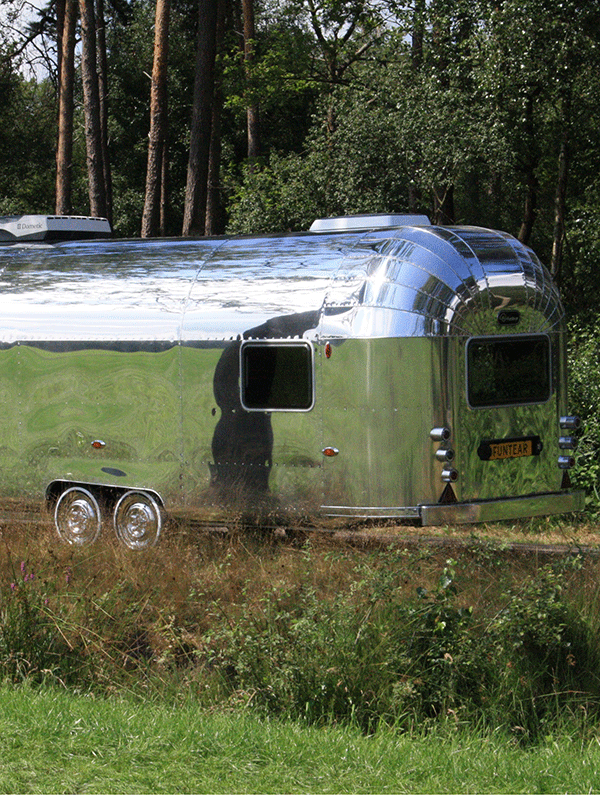 Our FunTear Teardrop models are available starting from € 14.950 (Silver Bullet). 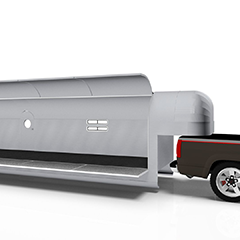 All trailers are supplied with a standard individual type approval, NL registration or an export registration number with IGK homologation documents. Call us for an appointment at 088 – 11 61 200 and come see the many examples that we can show you. The construction time of a Funtear averages between 6-12 weeks. Delivery time depends on many factors such as availability of production slots and the supply of parts. It is possible to buy a fixed production slot (fixed start of production) with us, so you can determine the desired delivery time. By buying a production slot in time, it is possible to determine the delivery time in advance. Buying a production lock is only applicable to customers for whom the delivery time is of great importance. Buying a production slot is of course not mandatory.